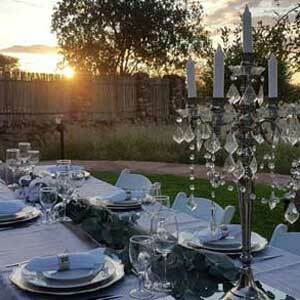 At Buffalo Thorn our luxury bush lodges make a magnificent centre piece to both the farm and the camp itself. The grand building boasts a large communal living room in which everyone is welcome to relax and escape the hot African sun. Our attentive staff are always at hand in the lodge, where they can cater to all your needs. With satellite television to entertain between activities, and a large fire to warm the whole room on cold, starry nights, the lodge is the place visitors spend much of their time. 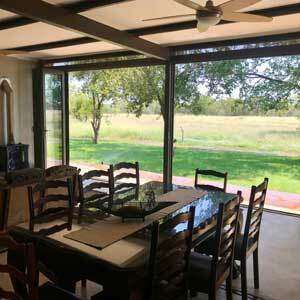 If you prefer relaxing outdoors rather than within the lodge, the lodge exhibits a large and welcoming stoep/patio which will extend your comfort zone. This is the place to enjoy our wonderful African cuisine with a perfect view of pristine and untouched African bush. Observe the game from the safety and comfort of a cushioned recliner. If you’re feeling a little overwhelmed by the African heat, why not take a dip in our swimming pool; another great place from which to see the game at the watering hole. Then, at the end of a long day, chill-out in front of the boma fire and enjoy great company over a glass of wine and succulent braai-vleis. 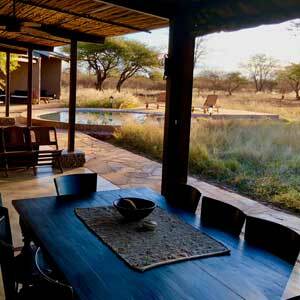 Buffalo Thorn Safari Lodge caters for patrons in wheelchairs. 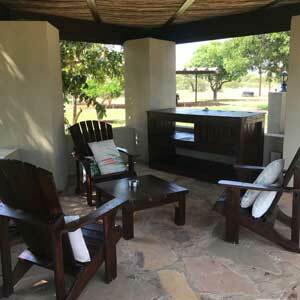 Our our luxury bush lodges have been equipped with wheelchair friendly ramps and railings to help those who require the assistance. There are large entrances for all our venues, and all facilities are within easy access. All chalets have been designed with space to accommodate wheelchairs, and we have lowered coffee bars and vanities for every room. Showers and toilets also have the required railings and seating. Communicate with us in advance and we will ensure that all the appropriate requirements are met to accommodate customers in wheelchairs. 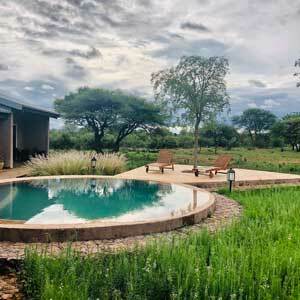 Your time at our luxury bush lodges will expose you to some of the most perfect weather in the world. Summer months can get extremely hot, so pack cool clothing and generous amounts of sunblock. With seasonal highs in excess of 35 C and night temperatures cresting 20 C, it’s no surprise that Limpopo is considered the hottest province in South Africa. Winter temperatures still remain fairly warm in the day (20-25 C high) and cool in the evening (10 C). It is important to pack a warm jersey and other warm clothing in the winter in addition to the cooler clothing you’ll likely be wearing during the day. Buffalo Thorn Safari Lodge does not lie in the malaria belt which is usually contained far north toward the Limpopo river. There is little reason to take malaria medication unless advised otherwise by a medical health practitioner. 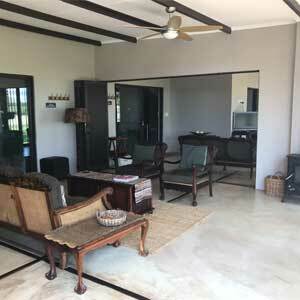 Buffalo Thorn Safari Lodge is located within an hour’s drive to the Lephalale Hospital should an emergency occur. The hospital is fully functioning and caters for the residents/miners of the coal-mining town of Ellisras. However, it is important that you bring any chronic medication with you to Buffalo Thorn Safari Lodge. 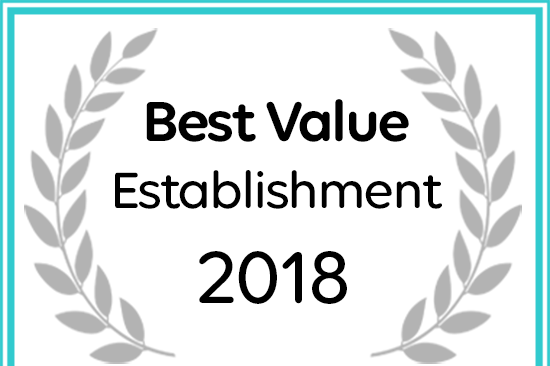 Buffalo Thorn Safari Lodge named a Best Value self catering destination.